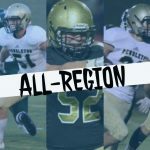 Friday, November 3, 2017 7:30 PM Pendleton High School AWAY 34 Newberry High School HOME 38 Game Recap The Pendleton Bulldogs fell in a close game against the Newberry Bulldogs in the first round of playoffs. Thursday, October 26, 2017 7:00 PM Seneca High School AWAY 20 Pendleton High School HOME 7 Game Recap The JV Bulldogs fell to Seneca on Thursday night. Friday, October 20, 2017 7:30 PM Landrum High School AWAY 6 Pendleton High School HOME 38 Game Recap The Bulldogs beat Landrum Friday night. They close regular season next Friday at Seneca. Friday, October 13, 2017 7:30 PM Crescent High School AWAY 10 Pendleton High School HOME 35 Game Recap The Bulldogs beat Crescent for another region win! 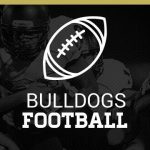 Thursday, October 12, 2017 7:00 PM Pendleton High School AWAY 34 Crescent High School HOME 14 Game Recap The JV Bulldogs beat Crescent tonight. Friday, September 29, 2017 7:30 PM West-Oak AWAY 0 Pendleton High School HOME 49 Game Recap The Bulldogs open region play with a win! Thursday, September 28, 2017 7:00 PM Pendleton High School AWAY 43 West-Oak HOME 7 Game Recap The JV Bulldogs beat West-Oak Thursday night. Thursday, September 21, 2017 7:00 PM Pendleton High School AWAY 33 Powdersville High School HOME 36 Game Recap The Bulldogs lost a close game to Powdersville High School.